We are a family friendy hostel. Our rooms have from 2 to 6 beds per room. Our staff are volunteers and the Hostel is closed from 9 AM to 5 PM daily. Our guests find that there are many activities in the area during the day while our staff are at there jobs. "The only original Fresnel lens operating on Lake Ontario" Capt. 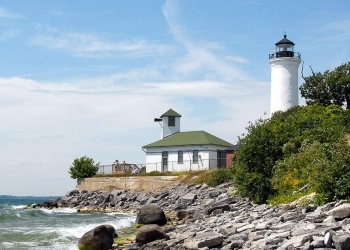 John Tibbetts of Troy, NY gave 3 acres of his 600 acres to the Federal Government to establish a Lighthouse. In 1827 the first Tower and Keeper's Quarters were built. 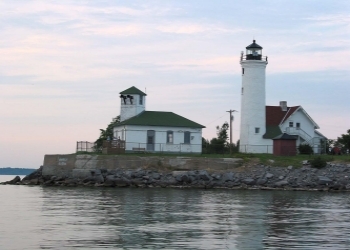 Tibbetts Point Lighthouse is open May 26th thru October 9th.